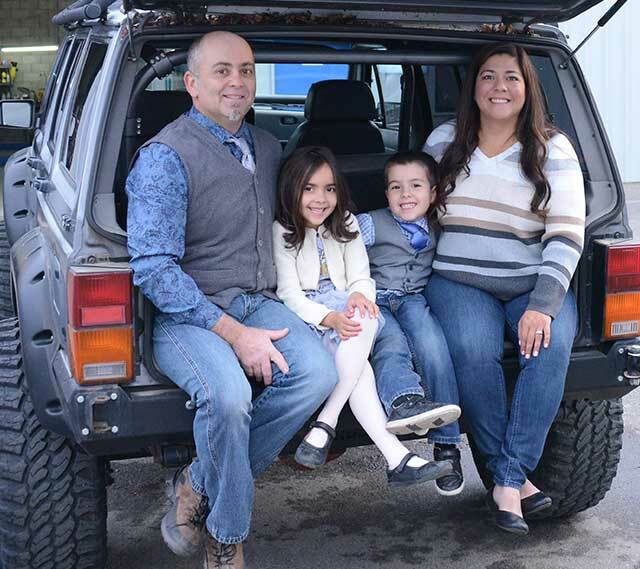 Jamie Furtado opened Five Star Automotive in 2004, and his family continues to run the shop, providing Patterson area drivers with quality auto repairs and smog inspections, as well as 4x4 modifications, an area where our services have grown significantly. As a local, family-owned auto repair shop, we genuinely care about our customers—your vehicles, your comfort, and your safety. Over the years, Five Star Automotive has earned a reputation for fast, reliable, and affordable service, and we look forward to continuing to exceed customer expectations for auto repair far into the future. At Five Star Automotive, we combine high-quality service, expert problem-solving skills, and many years of automotive experience to distinguish our shop from other auto service providers. A Patterson native, Jamie Furtado’s life-long love of cars began at a young age, when he started working with his dad on tractors and automobiles. Soon after finishing high school, he knew he wanted to work on cars for a living, so he attended Wyoming Technical Institute (aka WyoTech) in 1994, graduating with honors. Two weeks after graduation, Jamie began his professional automotive career at a Jeep dealership, where his passion for working on Jeeps started. His next position took him to a Lexus dealership and, during this time, he went to night school to be certified as a Smog Technician. Jamie used his smog certification while working at independent auto repair shops, where he gained experience in smog-related repairs. This is also where Jamie developed strong skills in diagnosing and repairing all different vehicle makes and models. In 2000, Jamie opened The Smog Shop, which was a test-only smog station in Modesto, CA, where he was living at the time. After four years of focusing on smog testing, he decided he wanted to branch out into general auto repair and open his own auto repair shop in his hometown. So, he relocated back to Patterson and opened Five Star Automotive. Jamie has enjoyed growing his business and expanded the shop to include another bay in 2009. As a shop owner, Jamie loves that every day is a new challenge, which keeps his team of ASE-certified mechanics motivated and always learning. In his free time, Jamie likes camping, Jeeping, and spending time with his wife, Amanda, daughter, Izabel and son, Ezra. They enjoy getting away on the weekends to fun destinations, such as Monterey and Sonora. Our Service Advisor Connor Millin is a Central Valley local who prides himself on giving customers a thorough understanding of the issues they have with their cars, their causes, and how to best prevent them from happening in the future. When not assisting customers at the shop he enjoys camping, four-wheeling, attending concerts, and working on his own truck. Serving Patterson, CA and surrounding areas, including Crows Landing, Diablo Grande, Newman, Patterson, and Westley.